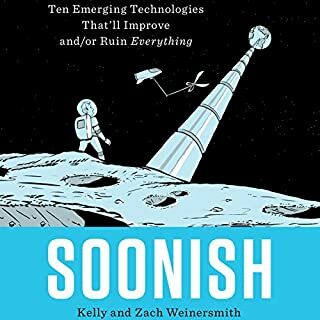 In this smart and funny book, celebrated cartoonist Zach Weinersmith and noted researcher Dr. Kelly Weinersmith give us a snapshot of what's coming next - from robot swarms to nuclear fusion powered-toasters. By weaving their own research and interviews with the scientists who are making these advances happen, the Weinersmiths investigate why these technologies are needed, how they would work, and what is standing in their way. 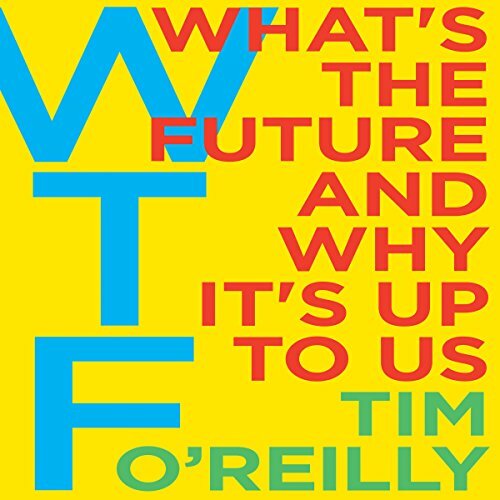 Silicon Valley's leading intellectual and the founder of O'Reilly Media explores the upside and the potential downsides of our future - what he calls the "next economy". Tim O'Reilly's genius is to identify and explain emerging technologies with world-shaking potential - the World Wide Web, open source software, Web 2.0, open government data, the Maker Movement, big data. "The man who can really can make a whole industry happen", according to executive chairman of Google Eric Schmidt, O'Reilly has most recently focused on the future of work - AI, algorithms, and new approaches to business organization that will shape our lives. He has brought together an unlikely coalition of technologists, business leaders, labor advocates, and policy makers to wrestle with these issues. In WTF, he shares the evolution of his intellectual development, applying his approach to a number of challenging issues we will face as citizens, employees, business leaders, and a nation. What is the future when an increasing number of jobs can be performed by intelligent machines instead of people or done by people only in partnership with those machines? What happens to our consumer-based societies - to workers and to the companies that depend on their purchasing power? Is income inequality and unemployment an inevitable consequence of technological advancement, or are there paths to a better future? What will happen to business when technology-enabled networks and marketplaces are better at deploying talent than traditional companies? What's the future of education when on-demand learning outperforms traditional institutions? Will the fundamental social safety nets of the developed world survive the transition, and if not, what will replace them? On a positive note, the book started out very well and is often insightful and thought-provoking. The book is a bit too long for the content provided. It also fails to really talk about the future (for example the chapter on "supermoney" never mentions cryptocurrencies. It also uses the "I" word far too often, sometimes feeling like a chronicle of Tim's accomplishments and involvement in the development of technology over the past several decades. Would you be willing to try another book from Tim O'Reilly? Why or why not? Probably not - I think he laid out the expanse of his thinking here - and its very good thinking. Tim has a Sagging Middle with his economics and politics, but his technical insights are great. Tim has a Sagging Middle with his economics and politics, but his technical insights are great. The book eventually redeems itself. 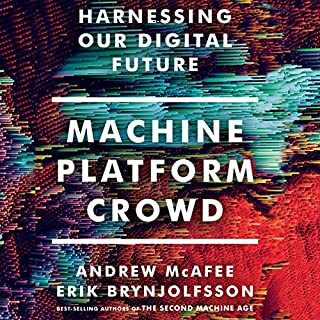 This is certainly one of the best books I've read on the subject of technology, the near future of the disruptions, how society will react, and the options it has to deal with the new age of machines and information. I commend Tim O'Reilly and thank him for putting it all out there. This book is engaging, not technical, yet very detailed in its accounts of the emerging world run by algorithms, machines and information. One thing is certain. The change will be no less dramatic than the advent of farming. The industrial revolution will be looked at like a walk in the park when compared to what we have installed for us. The author was very astute and realistic on the very near future. The upcoming technology revolution is a potent tool, that is a colossal magnifier. We should expect extreme growth and change on an unprecedented level. There is a great opportunity for abundance, but whether this abundance will enrich the very few or spread across society is the difference between a bright or gloomy future. His proposition that we don't have to be worried about a super artificial intelligence threat, because the "hybrid artificial intelligence" is not only here but will destroy society unless drastic changes are enacted is spot on. The "Master algorithm of shareholder capitalism" is the hybrid entity that if not checked and amended quickly will destroy civilisation as we know it. It is the tragedy of the commons played out in a cosmic scale. If things go well and we change and defeat this hybrid entity, we will be looking at a future brighter than history has ever seen. People will not have jobs. Not because they want them and there isn't any, but because they have what they need and they can peruse life as it should be lived, the way they want it. "It is not Jobs that we need, it's work" and we will have more than enough of that. This is a must read for everyone! Especially the idealists that have lost hope in the midst of cynics, cheaters, and an unfair world that rewards the individual at the cost of many. We will have everything to fear if Artificial Intelligence is built with this goal in hand. Great EYE OPENER! Amazing first half of the book when talking about trends for the future. goes pretty political when discussing the fake news problem and algorithmic solutions, which was unfortunate because I think O'Reilly could have stayed neutral for the purposes of the book which frankly would make the message more powerful. But there is no doubt O'Reilly sees the world in a very unique way and it is fascinating to learn from him. Took this book on at the recommendation of a friend who had different views of economics. This was his argument for the failures of capitalism and how it can't work on the future. Lots of great stories. Great view into the tech world. But like most socialist leaning people, Tim talks about how he thinks the world can be different based on anecdotes not on history or a complete rational argument. Lots of logical short comings in making a case of how the world is now ready for socialism. Tech, can fix human nature and now we can have a good government that can do socialism correctly. The world is changing but a several hundred thousand old human nature isn't. Would you try another book from Tim O'Reilly and/or Fred Sanders? Tim has many good points about what caused the massive changes in online applications development: open source thru out. Lack of government regulations. Individuals able to teach themselves. Can get contracts w/o going thru large corporations. Then he gets into politics and social policies. E.g. there should be more to corporate objectives than profit. He mentions GE as a Stirling example of how companies should be run. GE's president when Tim was lauding GE has been fired due to poor performance. GE is is being restructured and many divisions shut down or sold due to little profits or actual losses. GE's ability to survive is in question because it lost sight of the need to maintain profitibility in the face of global competition. Tim also extols globalize trade, yet says America should limit imports to preclude US jobs from being eliminated by foreign manufacturers. One major reason for increasing global trade is so Americans can import goods at a lower cost than comes from American manufacturers. The non-manufacturing public ends up much better off from imports gets little mention. Perhaps the solution is to not restrict imports. Rather do a much better job of transitioning laid off workers into either new skills and activities. Those approaching retirement should be given better retirement choices. Who do you think would benefit most from listening to WTF?? New college graduates. Others wanting to understand why the internet economy is so turbulent and why the pace of change is so high. Title is misleading. Not about the future. Mainly explains how we got to the present. Also his politics shows up in the middle. Complete waste of time. I've been a big fan of Mr. O'Reilly's initiatives since I was cutting my teeth on his publishing house's books coming up through both my academic and functional education. This is a great book; readable and accessible for a wide audience while getting into the nitty gritty of the forces changing our world. I couldn't put it better than the luminaries who have given their thoughtful endorsement to this work already, but I can say that it is not just the topic or the details at hand here, but it is Mr. O'Reilly's worldview and perspective that is so refreshing and encouraging. 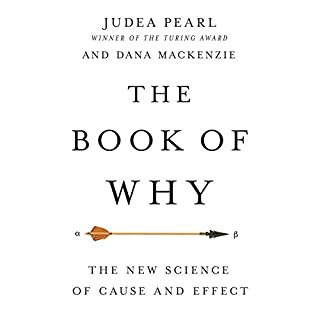 Reminiscent of the laudable mentality Woz, Feynman, and other pioneers, this is a refreshing overview for possiblists old and new. 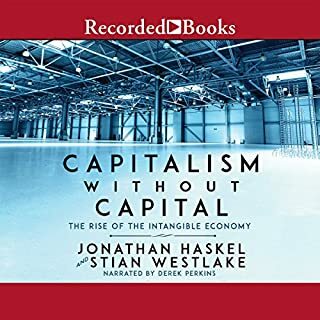 Those of us who are lost and overwhelmed by the state of disruption in many industries and fields can safely rely on this book to become a bit more informed on each of the issues on the agenda here. 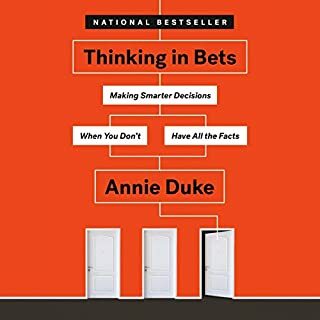 The discussion of techniques and mentalities to cultivate, where there can be documentation provided of those people and groups who change things and why is very relevant and useful. I was especially impressed by the discussion and analysis of the economic challenges ahead, and the case studies and other details presented are very choice and relevant in each case. As someone who is well read, the narrative is varied and engaging, although the issues discussed here are vital enough in each and every case that is documented here, the sense of asthetics for the vocabulary chosen makes it easy to settle in for a nice enjoyable read. Additionally the mentality of the author is one of clarity without bias; a welcome distinction. Of course, that doesn't mean that there is not opinion on display here, rather the opinions expressed are so well tempered with compassionate reason hopefully the readers will find it a fun challenge to find points of contention, though that is one of the ways I read, I couldn't find very much at all that was editorial in tone. Though the book is quite informative on a good range of topics, the tone is a cut above the spirit of journalistic inquiry that no doubt was one of the instigating factors prompting the writing and publication of this work. Though clearly thorough investigative effort was undertaken on the part of the author, much like with Mr. Gore's latest work, the voice of this work is easy, optimistic, and curious, a balm to those who may find these topics stressful or overwhelming. 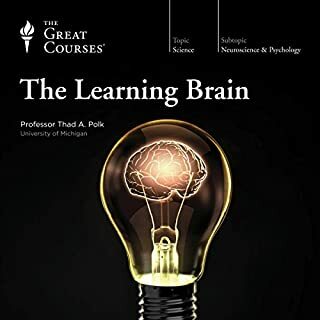 Overall I would say this book is as broad in it's scope as it is approachable, with level headedness and open minded approach, briefing yourself on these topics with this book should serve any reader well. I am of varied and independent thinking and I cannot find a single notion advocated for here where I differ with the offer, the proposals and insights are just that choice. I very much look forward to hearing much more from Mr. O'Reilly going forward. It is my hope that works like this and those of Mr. Gore can pervade and influence the influencers, notions predominant and endorsed by the author can become prominent in the public conversation, have an appreciable influence on how policy is shaped by individuals, business, governments, and other organizations and groups. This book and the initiatives behind it are among the most encouraging and inspirational I have encountered. My Thanks to the author, I do look forward to your future publications, discussions, and ideas.